A spring time project this year (2014). It could use more exposure, but with the weather here three hours is all I had time to acquire. The image was taken from the dark skies of the St. Croix Observatory. 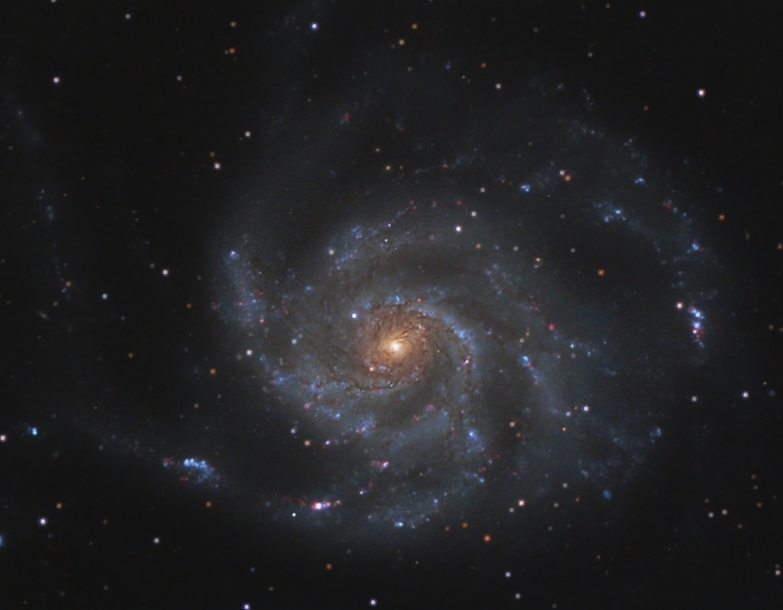 Scroll down to see a 50 percent crop of M101. Processing This image was split star processed in Images Plus. 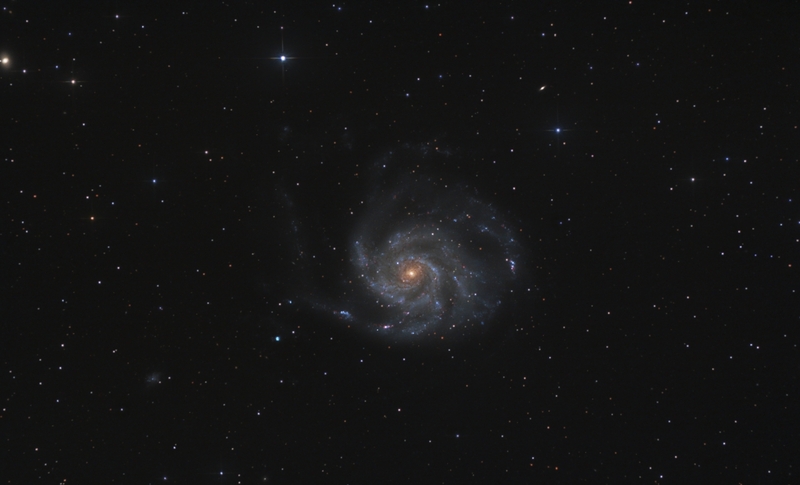 Calibration, stacking, arcsinh initial stretch then split star processed using the feature mask tool. Image binned and cropped for web display.